F.O.R. Maricopa’s Christmas Toy Drive Sign-up event begins Saturday for eligible children up to 16-years-old. Wendy Webb, director of F.O.R. Maricopa Food Bank, said registration lasts only two days this year. Registration begins Nov. 4 at the F.O.R. Maricopa Business Center (formerly the Maricopa Business Barn) located at 19428 N. John Wayne Parkway from 10 a.m. to 1 p.m.
Nov. 7 will be the final day to sign-up. Registration will take place at the temporary food bank location at Santa Cruz Elementary, 19845 N. Costa del Sol Blvd., from 4:30 p.m. to 7:30 p.m.
Parents and guardians must bring documents proving eligibility, including a F.O.R. Maricopa food bank card, identification and birth certificates, Webb said. “Anyone who qualifies for food bank need only bring birth certificate for each child 16-and-under and we will sign them up. Some folks have signed up in the past. We keep their information on file so they don’t have to bring a birth certificate again,” Webb said. 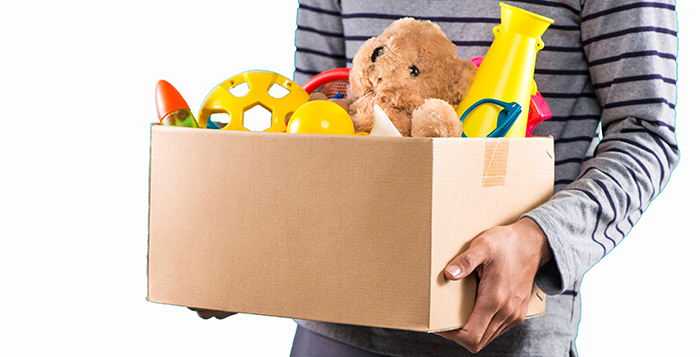 Families who register for the Salvation Army’s Toy Drive are not eligible for the F.O.R. Maricopa program. Webb also called on the community for help. Spanish-speaking volunteers are especially needed both days, Webb said. For more information contact 520-251-0226 or info@formaricopa.org.